Creative street-art exhibits at the Spring 2016 Westville Village Artwalk. Spring has sprung on The Hill, and many fun-filled events surround our Hopkins campus as the weather gets warmer and the countdown to summer begins! The Beat staf has put together a list of go-to’s for this spring season. The Dogwood Festival at Fairfeld’s Greenfeld Hill, May 12-14, is a community celebration of flowers, food and fun. Attendees are able to participate in the Dogwood Dash, a two-mile run, and children ages 2-7 can run in the Dogwood Mini Dash. There’s a Friday brunch, a Saturday-night barbecue and dance, an art show, walking tour, and concerts. 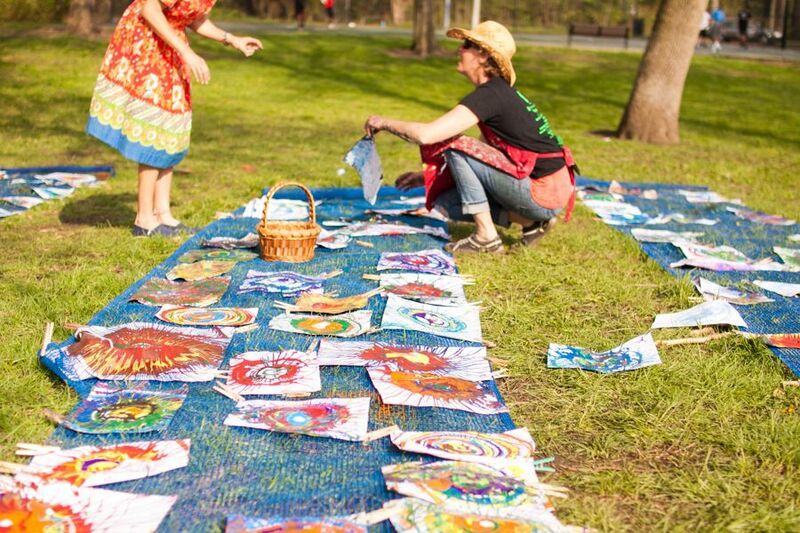 The Westville Village Artwalk in New Haven is an annual event that takes place every Mother’s Day weekend, this year on May 12 and 13. The Artwalk features live music, art exhibitions and demonstrations, interactive art-making, and over thirty vendors at its Artist and Artisan market. This event draws between 8,000 and 10,000 visitors, and is a fun day for kids and adults of all ages. New Haven’s Food Truck Festival is an event not to be missed on June 3 at Long Wharf Park. Enjoy the delicious street food of New Haven on the historic Long Wharf water- front, which will also feature live performances.